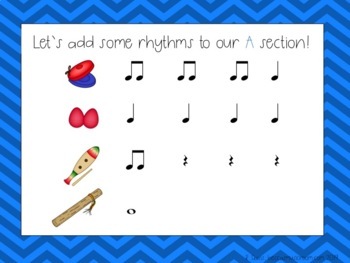 Looking for a fun way to practice music literacy-- while playing instruments, improvising, and discussing form? 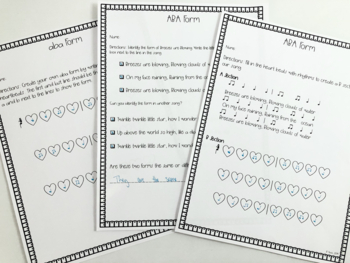 This elementary music lesson is really fun, and includes all of those things-- plus singing! 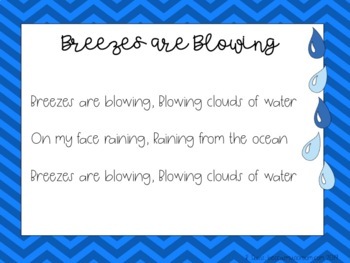 In this lesson, students will learn to sing the song Breezes are Blowing. (Because it's about weather and rain, it would pair really well with Que Llueva) They will talk about the form of the song-- aba. Then they will use the whole song as A, and come up with their own B sections, first through improvisation, then through composition. Rhythm cards are included to aid in improvisation. There are also instrument parts for the A section. 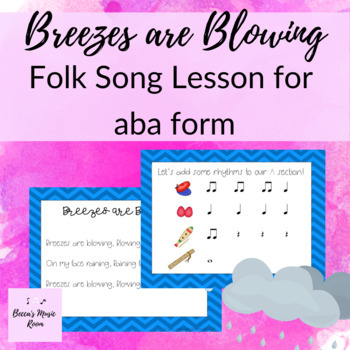 This product includes a 22 slide powerpoint to walk you through the lesson-- in stick notation and regular notation-- plus a lesson plan with extensions, and six printable worksheets for composition and form identification.